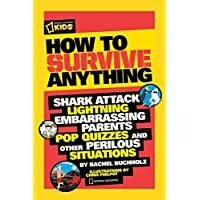 Aside from raising your child on the values of right and wrong, parents need to consider incorporating basic survival skills into their upbringing. 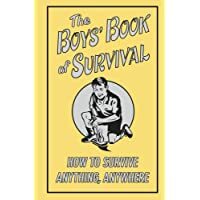 Not sure about what basic survival skills for kids are? Let’s get familiar with the most important skills needed. 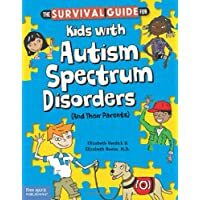 If you’re not sure where to start, I suggest you buy a few books your child can read. These will spark their imagination, and create questions than you can then use to teach them basic safety skills. A lot of these skills can be accomplished by regular camping, hiking, hunting and fishing trips and some need a little more of a direct approach. 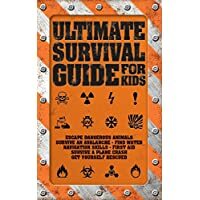 Here’s my list of survival skills for kids that I believe will teach them not only how to survive, but build confidence and independence. What parent wouldn’t want that? 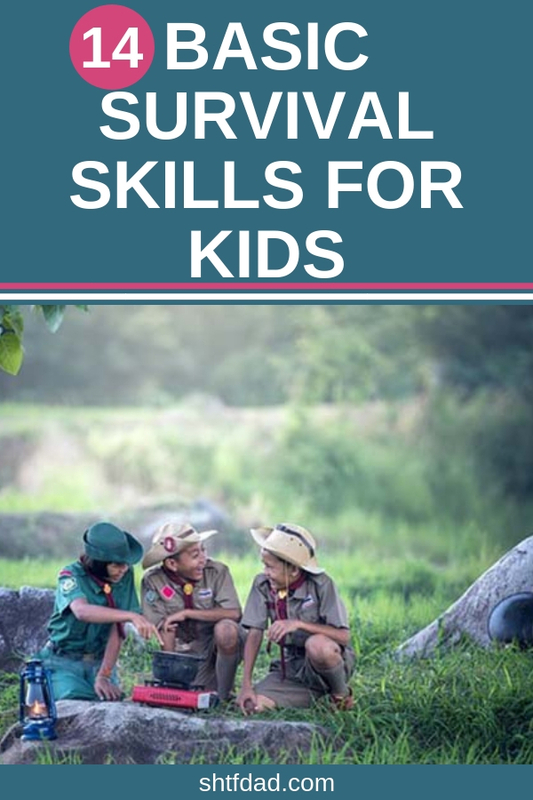 This is a very basic survival skill that all kids should possess. But the sad reality of the situation is that many people do not know how to catch fish directly from open spaces without all the fancy equipment. 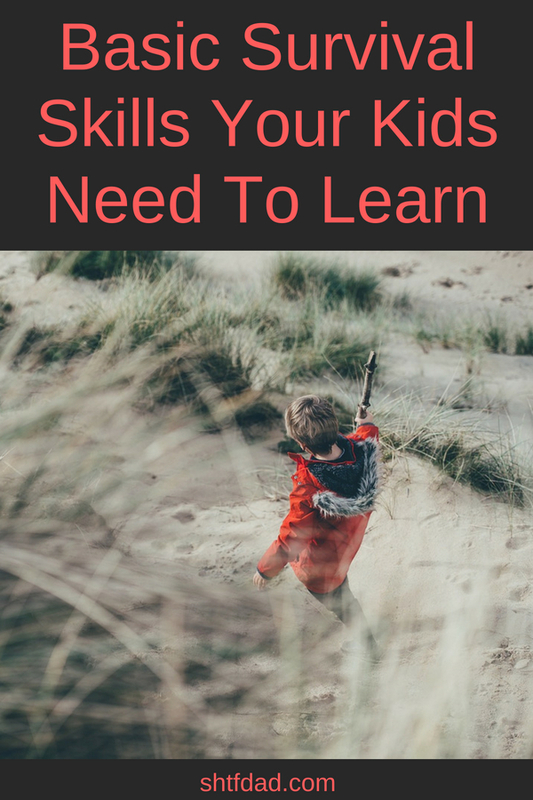 You should train your child to be able to catch fish using equipment you would likely have on you should you bug out, or materials found in the forest. Always carrying a good quality survival grenade will ensure this. Scaling a fish and being able to cook it is difficult and will take practice to learn properly. But with a bit of direction and education from their parents, they will be able to handle it without much difficulty. 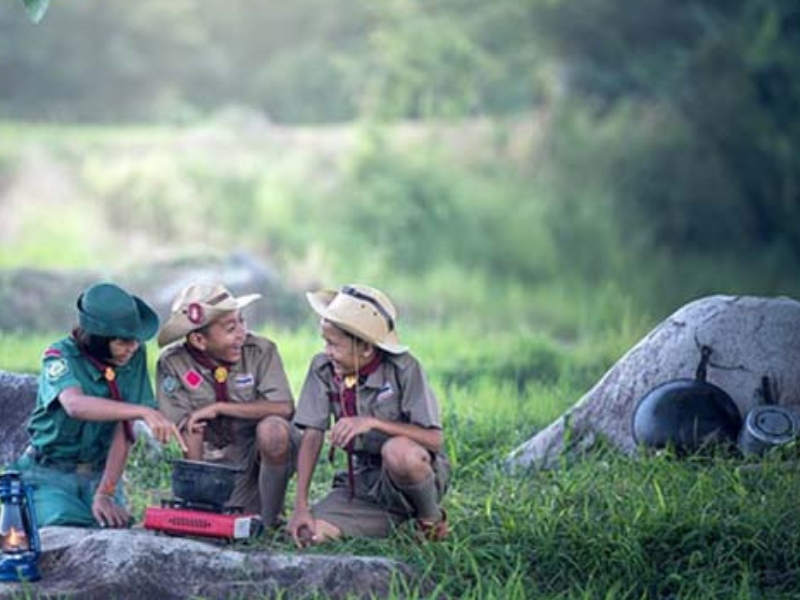 The kids should know how to prepare and build a fire without the use of a flame lighter. This may seem like an impossible feat but dozens of stranded people manage it every day. Building a fire properly with stones, sticks and kindling is a bit of an art form. 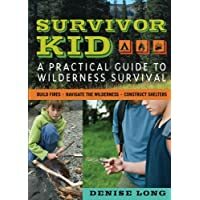 A fire provides a wealth of abilities to survive in the wild and as such is a very important survival skill for kids to learn. It will keep you warm, cook food, keep wild animals away, boil water and keep insects away too. 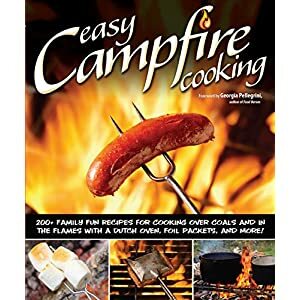 Once they have learned how to build and start a fire, next is learning to cook over it. Cooking over a fire in the forest is completely different to using any appliance back home in their kitchen. There is a bigger chance of kids scolding themselves. Enjoying a meal that they cooked themselves will give them a huge boost in confidence. It will also open them up to learning even more challenging tasks. A small pen knife or small combat knife is a great starter knife for your kid to learn with. If your family that does outdoor recreational activities often, consider letting them permanently carry a pocket knife. This way they can get comfortable and familiar with always having it. Or to err on the safer side, Spyderco have this awesome Dragonfly Wooden Knife specifically for teaching kids how to handle one. Aimed at kids aged 7 + and has no sharp edges. When you assign your child a knife or gift them one as their own, you need to teach them how to take care of it. A knife without maintenance becomes pretty useless fairly quickly. It’s a good idea to spend a couple hours going over basic cleaning and sharpening techniques. Now finding shelter can be difficult and really depends on your current location. But let’s say you’re out in the forest with you kids: play a game with them and see who can find the best shelter first. Now, be careful, you don’t want your kids just randomly running off and getting lost. 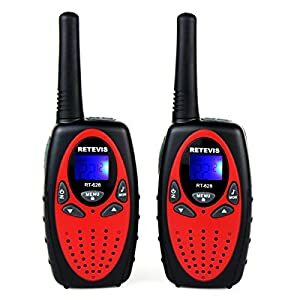 Give them a whistle, phone or walkie talkie first, or just tag along behind them and get them to work together. Kids are good at finding hiding places. But finding a good spot that is sheltered away from the elements takes many more considerations. If you have a map, teach them to interpret it and look for areas close to a water source. I believe finding or making a shelter is the number one priority if you do find yourself in a survival situation. Our bodies just aren’t made for harsh conditions to combat the cold or heat. So, before food and water, shelter comes first. Making a shelter out of foraged material from the forest is actually a really fun activity that you can all do as a family. Nothing is better than having fun while you learn handy survival tips. The kids should know what to do if they find themselves in the presence of wildlife that may not be exactly friendly. And hey, if it is friendly, it could very well be your next meal. Otherwise kids need to know how to react if they come face to face with a bear, wolf or snake in these situations. Water is necessary for our survival, we can go without food for several weeks but we can only go without water for three days. 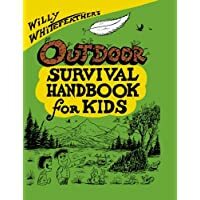 Being able to find water and if need be to purify it is a crucial task and one of the most basic outdoor survival skills that you can teach them. There are a few ways to purify water, either by boiling (will need that fire for this), purification tablets or a purification drinking straw. Now the last two are obviously bought items, so I would focus on the boiling of water properly to purify. This would usually start by filtering whatever water you managed to find and then boiling over your fire. Otherwise, get them to try out the ever-popular LifeStraw. Kids should be able to make use of all the items found in a first aid box and know what they are all intended for. Aside from a band-aid and non-itch cream, I reckon most kids under 10 years old these days would not have a clue. This isn’t just a survival skill but a life skill too. Kids should be able to create or identify a way to signal about their presence so that they can be immediately rescued. Knowing how to build location markers and survival signals will no doubt see them out of a bad situation or surviving in the woods in a minimal amount of time. Teach your kid how to tell basic direction by using the sun and create a sun dial to tell time if necessary, but basic direction is key. Reading a map correctly and really understanding how the contours of the land work will help them find the nearest civilization, shelter and water. Additionally, buy your kid a good quality Military Grade Compass. When a person becomes lost and panicked, it is psychologically considered normal to feel defeat and despair. But remaining psychologically sharp and present can help your child remain aware of their surroundings much more rightly. If they feel dejected they might end up making their situations much worse off. A positive attitude can help them grow out of a defeatist attitude and think beyond their means. Therefore, encourage your child every step of the way to learning these important basic survival skills for kids.